Fia has been operating the studio panel for the show since 1998. It’s part of her way of getting information to the Niuean community with the help of church ministers. She works as a stocktake clerk and treasures her time with family. Fia loves to cook and garden and sing in the church choir. As the Minister to an Otara Niuean parish, Rev. Tuleia is always busy with the church community, providing education in healthy lifestyles, singing in the choir, being involved with his family and sharing information on the radio. He plays golf, enjoys walking, touch rugby, table-tennis, volleyball and weights. All that sport is followed by a bowl of Weetbix! Tina is one of the founding members of Leo He Fakaalofa Noa Niue; has anchored and produced the 95 minute weekly show since 1997. 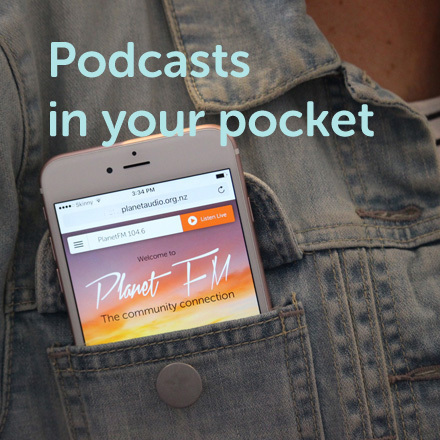 Tina believes the outreach of the church and their radio broadcasts are vital in maintaining community connections and welfare. It's been a family effort, with her late husband, Fata, and now daughter Fia, providing panel operations. Church news, community activities, singing and music. Learn about life, social and support services in NZ.